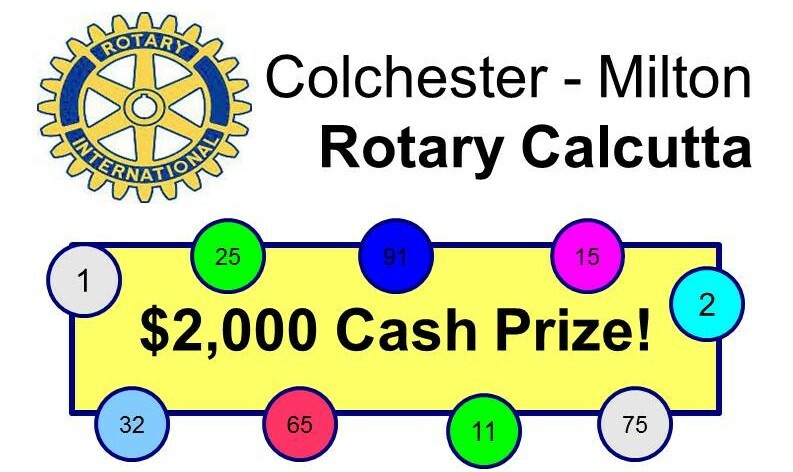 Join us for a night of fun at our annual Colchester-Milton Rotary Calcutta Night! Spend a fun & exciting evening with your friends, enjoy a fabulous meal and a chance to win prizes and up to $2000.00! Silent Auction! 50/50 Raffle! Prizes! The Colchester-Milton Rotary Club© 2018 All rights reserved.